Let's first talk the basics. If your application is small and simple, and changes only happen occasionally, you might venture to modify it on-the-fly on the production server. This approach will, however, be disastrous if your application is complex and/or needs numerous changes. A better idea would be to thoroughly test every function before deploying the new version, otherwise you can end up with a broken application and forced downtime. Many web applications employ a database for data persistence. In the past years LAMP (Linux, Apache, MySQL, PHP) has become one of the most frequently used software stacks. This website is also built on this bundle of technologies. In the ideal world every development environment matches the production one, at least in terms of software versions and features (like compilation options etc.) All this can of course be installed on a developer's PC or a development server, but you might run into difficulties with availability of specific software versions, component upgrades and so on. For example, Ubuntu has recently dropped PHP 5.x from its repositories, which means you need to compile it yourself. Using a virtual machine is a possible solution to this problem, but there are issues, too: setting it up can be laborious, it's demanding in terms of RAM and CPU performance, but—most of all—it's hardly reproducible on another machine. That is, of course, unless you copy over the entire virtual disk, which is time consuming, expensive and eventually impractical. Docker containers offer a great alternative to all that ado. 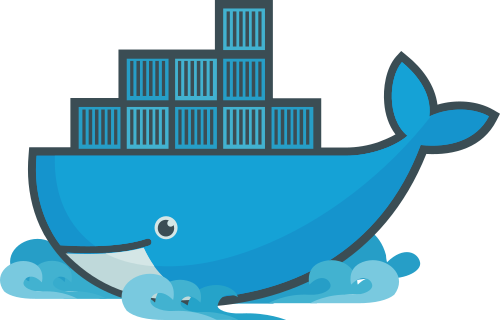 Docker allows running components, such as PHP, Apache HTTP Server and MySQL, inside standard, lightweight containers, with configurations that are 100% reproducible, and linking those containers using virtual networks. You don't need to install numerous packages anymore, the only thing needed is the Docker engine itself. And, last but not least, Docker is free and open-source. Each container is described in a so-called Dockerfile, a plain text file containing special commands. A container is always based on an image; Docker repository provides a huge number of ready-to-use images for all kinds of software. Therefore every Dockerfile begins with a FROM command specifying the image the container will be built upon. yktoo-app, which runs Apache HTTP Server + PHP. The usage of AllowOverride None is important here, as it prohibits Apache from using the standard .htaccess from the source tree. In that file I have, for instance, a redirect to HTTPS (and a whole bunch of other redirects), which is not needed for development. It also calls the second script, database.sql, which is merely a dump of the production database, with all tables and their contents. In this way I get an exact copy of my web application running at https://yktoo.com/. As you can see, it uses the same DB name (yktoo), user name (appuser) and user password (appuserPasswd) as in the previously listed init.sql. What's also important is that the hostname yktoo-db matches the name of the MySQL container, which allows to access it from the Apache HTTP Server's container, once they're linked (see below). docker build -t yktoo-app-image -f "Dockerfile-app" "$PROJ_ROOT"
docker build -t yktoo-db-image -f "Dockerfile-db" "$PROJ_ROOT"
The option -p 80:80 links the port 80 inside the container to the port 80 on the host, which makes the app available at http://localhost/. It's crucial that our DB container is called yktoo-db because that's the same name mentioned in config/db.php above; furthermore, it's used to link the HTTP server container to the DB (the --link option). Another important aspect is the usage of the -v option, which mounts your project's source tree right into the /var/www/html directory of the Apache server. It allows you to immediately see modifications made to the app code without restarting the container, which is super convenient. It stops and removes both containers right away, so that the next time you run run.sh you get a fresh, 100% identical copy of the entire environment—including the database. Because of that, if you development requires modifying the database, those modifications are to be saved in a separate file (for example, upgrade.sql), then you make it appear inside the DB container (by adding COPY upgrade.sql /db/ to Dockerfile-db) and invoke in init.sql (by adding source /db/upgrade.sql; after the line source /db/database.sql;). It's quite easy to manage containers with the above scripts, but why not take it one step further? Docker offers a special tool called docker-compose for managing multicontainer configurations. It allows for describing all the related services in a single file, commonly named docker-compose.yml, and controlling them using even simpler commands. In Linux, docker-compose is not installed as a part of Docker Engine, so one has to install it separately. That will also allow you to see the output of both containers in your console. In order to stop them use Ctrl+C, or, alternatively, the command docker-compose stop from another console; and to delete them docker-compose rm. As you can see, it's pretty straightforward and logical. That's about it. I hope this tutorial will be of help.